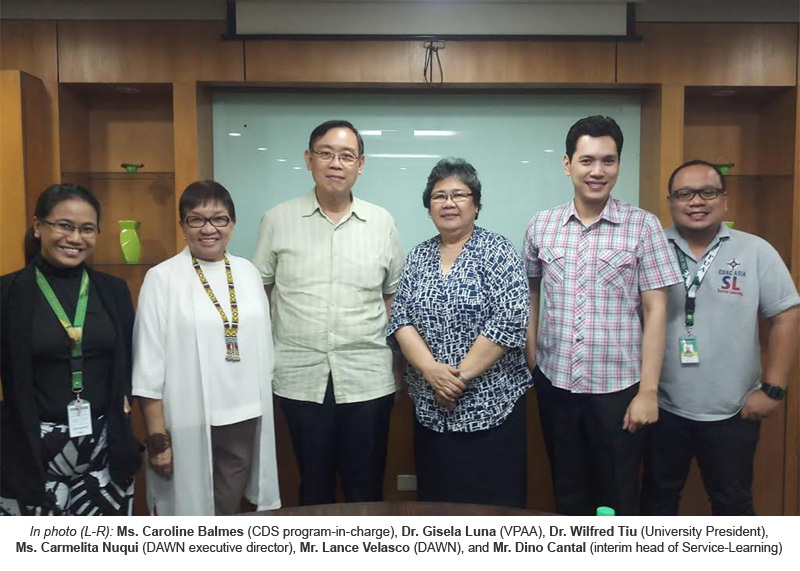 Advancing its mission to embrace Whole-Person Education (WPE), top administrators of Trinity University of Asia (TUA) signified its intention to partner with Development Action for Women Network (DAWN). DAWN was established in 1996 to help distressed Filipina workers in Japan and their Filipino-Japanese children in the promotion and protection of their welfare and rights. A meeting between the two institutions was held last Aug. 22 at the Executive Conference Room to discuss the possibility of hosting Service-Learning activities for TUA students and joint activities with TUA’s partner universities in Japan. Service-learning is a teaching pedagogy where students render services to partner communities and institutions to gain experiential learning, which is central to WPE. Students taking up Psychology, Communication and Broadcasting, Information Technology, and Business are expected to benefit from the partnership, once sealed.